Software Innovation: eight work-style heuristics for creative system developers. Innovation is the forgotten key to modern systems development - the element that defines the enterprising engineer, the thriving software firm and the cutting edge software application. Traditional forms of technical education pay little attention to creativity - often encouraging overly rationalistic ways of thinking which stifle the ability to innovate. Professional software developers are often drowned in commercial drudgery and overwhelmed by work pressure and deadlines. The topic that will both ensure success in the market and revitalize their work lives is never addressed. 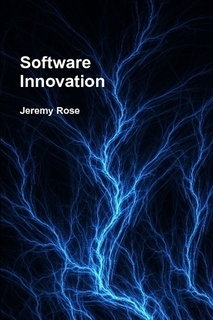 This book sets out the new field of software innovation. It organizes the existing scientific research into eight simple heuristics - guiding principles for organizing a system developer's work-life so that it focuses on innovation.